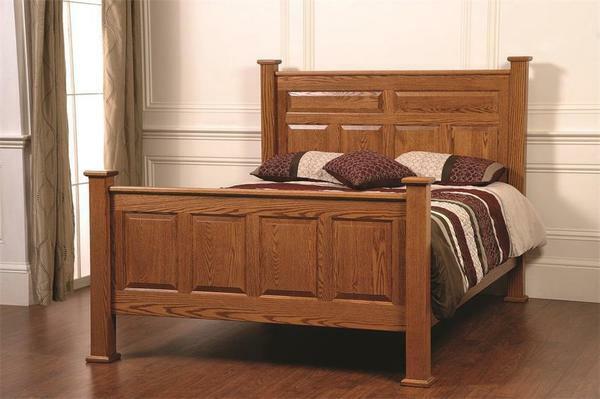 Let the Amish Country Deluxe Bed sit at the center of your bedroom and offer you the utmost comfort and style. This amazing panel bed is full of strength and purpose, built by hand with an exceptional eye for detail by talented Amish craftsmen. With raised panels in the footboard and headboard, this deluxe bed is quite the beauty. There's plenty of room to lean back against the headboard for reading or watching TV while you relax. Select the options that will work best for your new panel bed and we'll do the rest. Feel free to contact us with any questions from finish colors to shipping procedures. Our team of Furniture Specialists is knowledgeable and friendly and would love to hear about your decor and the needs for your new bed. Thank you for shopping with DutchCrafters.